In its use today, it can be an emotional word, ringing of judgment and disdain, particularly when referring to what a person does not possess. It’s a word people can and have taken sides over. Searching “modesty” online, I found images and sayings galore. And immediately noticed the majority related to the female of the species: what she shows or doesn’t show, or an inner quality of her beauty. Or her behavior of restraint to avoid being seen as less than decent or moral. It became apparent that, what I believed to be a timeless, all-encompassing word, is generally associated with the feminine. And just as much today as in more conservative times. It also seems that when applied to men, it is sometimes viewed as weak and unmanly. But I think of modesty as a power word. If a person of either gender is modest, unassuming or understated in the presentation of himself or herself, that person actually has more power in that his or her qualities lay waiting to be discovered. Attire is what most people notice immediately when seeing someone. It is a primary element in a first impression. When you show up to an event or occasion and are not dressed in the same level of formality that the event calls for, or you are dressed in a manner that draws undue attention to yourself, it is considered immodest. 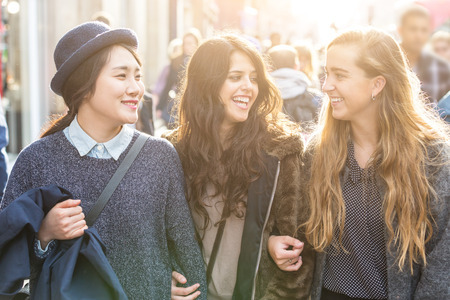 It seems to matter more if you are a woman, the level of importance varying in different cultures. A woman who attends a business meeting dressed in a slinky cocktail-style dress is assumed to be of lesser character. A man, I think, would be judged less harshly. If he showed up in sweats he would be judged crude, but not immodest, or of lesser character. Modest behavior consists of calm courtesies. One introduces himself, participates in conversation, does not disturb, smiles and makes eye contact appropriately, and shows genuine care for himself and others. It is the making of that person everyone refers to as “nice” before they learn she is a famous playwright, brilliant scientist, or successful businessperson. 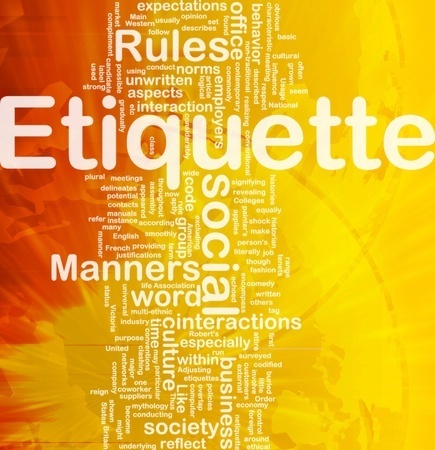 Etiquette occurs within context, situation and relationship. It matters where you are and why you’re there. It defers to respect, courtesy, and kindness in every situation, context and relationship. It is gender-free and applies to everyone. Intend respect, courtesy, and kindness always. Remain ever-mindful of what a situation calls for so that you aren’t the focus – nor are your outfit or body parts. To be modest, is to be etiquette-ful. The elements of both appear in every aspect of our lives, encouraging quiet authenticity, and an avoidance of chaos. Do You Observe Everyday Etiquette Rules?